Founded on the idea of pragmatism. With a combined experience of over 40 years, Securestorm founders are seasoned IT Security leaders, bringing the perfect mix of innovation, strategy and technical expertise to the industry and helping clients across Public & Private industries across the UK and abroad. Securestorm® are leading security experts who deliver pragmatic advice, practical solutions and solve security challenges across the Digital, Cloud, Cyber and Data Protection (GDPR) domains. With a combination of experience, expertise and strategic awareness, Securestorm offers technical and strategic consultancy, managed security services and solutions to clients across both Public and Private sectors. Securestorm holds several certifications, notably being NCSC Certified Cyber Security Consultancy, Crown Commercial Suppliers, and Cyber Essentials. Furthermore, Securestorm are also industry prominent for its proven delivery capabilities. 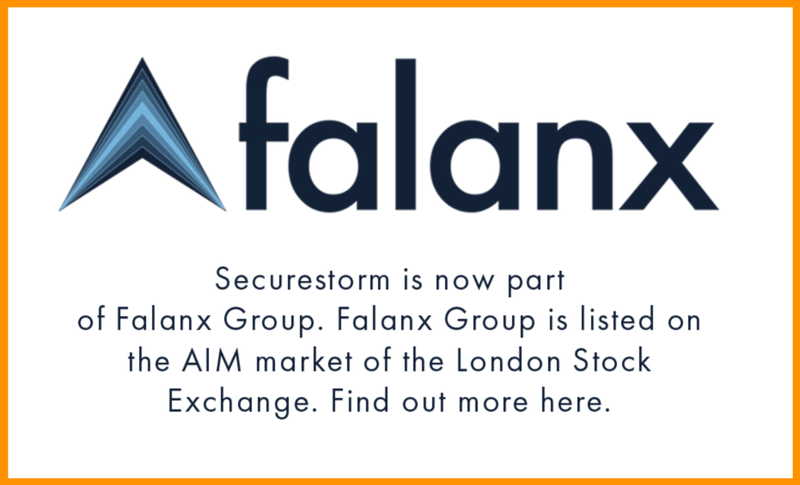 As of July 2018, Securestorm is now part of the Falanx Group of Companies. Our mission is changing the perception and culture of security to enable business, through the application of experience, expertise and innovation. Our Vision is to be a Company whose integrity, performance, quality and care for its customers and employees is second to none. We believe that the people of Securestorm are easy to do business with because we respond to the needs of our stakeholders, our customers, service partners and employees with energy, enthusiasm and respect. We truly believe that our expertise, passion, innovation and agility will differentiate us and ensure we are the partner of choice. As the Consulting Director, Tony is Securestorm’s lead force taking charge of business delivery, client relationship and engaging development programmes to boost the technical expertise, capabilities and accreditations of the company. Tony is also behind brand Securestorm’s wheels responsible for steering and implementing all aspects of the sales, marketing and business development to ensure the company’s ongoing success and growth. As a subject matter expert and advisor, Tony is a renowned figure particularly among Government organisations and Digital space who has built his expertise and name providing advice, security and assurance for information and risk management. Tony uses his 20+ years of advisory and project management experience across UK to regularly develop thought-leaderships, application tools and standards for organisations.